In a Nordic bath you cannot miss the wood. Usually it introduced in light colors, for example, under the mirror or dramatically enhances furniture. But you can also use it by placing a nice stool style vintage or modular shelving to leave your towels tidy also in supplements or floor. It is warm and cozy. 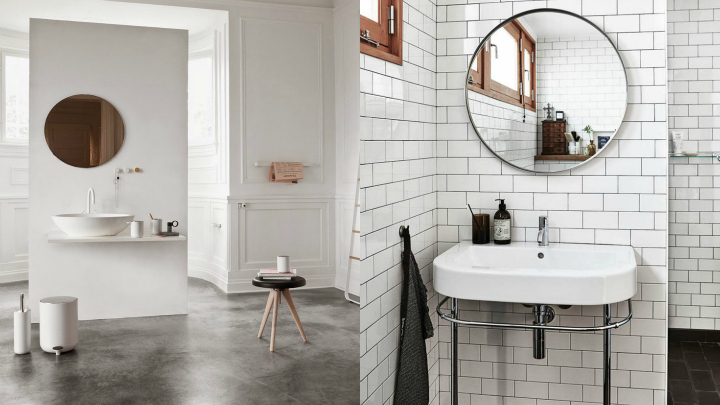 An idea that looks great in a bathroom with Nordic style is to put the mirror Oval. What do you think? I love the effect created with a retro feel, but very elegant at the same time. In one of the photos above you could see a beautiful tiles type meter in the bathroom wall. How about this idea? 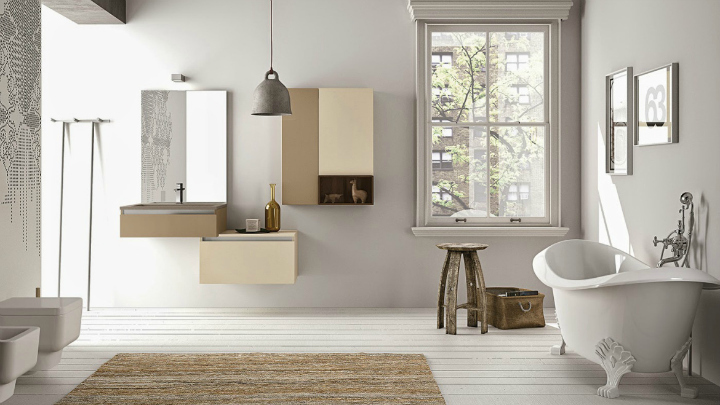 Its design will help you decorate the bathroom of a very cool way; they look great in this room. Another interesting idea for decorating your bathroom is to use different textures, for example, porcelain, wood, cement, cotton textiles, wicker baskets … for a few combinations charming to pose a unique interior design in this room of the house. We know that the Scandinavian style is always associated with white. But we have seen in previous articles that may give hints of color, simple and effective, to decorate the rooms.In the bathroom, too. Therefore, you can place a flower with vivid hues to enter nature at home, some towels, rugs or any accessory sink in stronger colors or a geometric pattern that looks great with this decorative style. 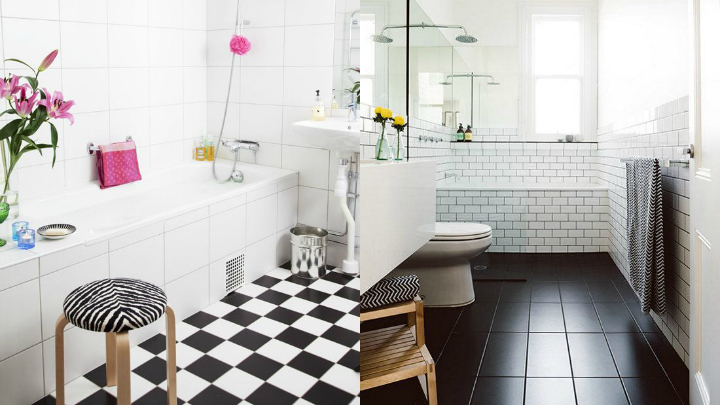 A checkerboard floor in black and white can be spectacular.